We are constantly being told that the future of computing lies in the cloud, and bit-by-bit but surely we’re seeing a lot of our data and information being stored somewhere other than on our physical devices. You might use your phone to take a photo, but instead of saving it solely in the memory of the device, you’ll upload it to a cloud server, letting you get fast access to it on a number of different devices wherever you’ve got a connection to the internet. It means we’re not worried about running out of space on our SD cards, and that a lost device/gadget doesn’t mean a loss of irreplaceable pictures and other files. 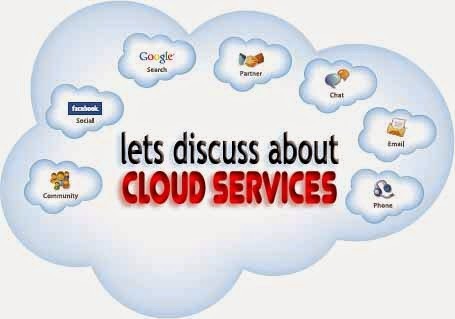 Making the best use of cloud services can be challenging, so take these tips into consideration. Make sure you don’t use the same login details for all of your cloud services, because if one of them becomes compromised they all will be. Change your passwords often to keep your data safe and you’ll be fine. Also, from time to time, check which apps you have connected to your cloud accounts, and revoke the ones you no longer use. Look for special deals that will get you more storage. Dropbox usually offers extra storage for filling in a questionnaire, and there are phones that come with free cloud storage too. Shop around to make sure you’re getting the best deal. Setting a sync time for when you’re asleep is a good idea, especially if you’re at home. Then you can use your Wi-fi connection to make sure your folders and files are up to date when you wake up in the morning. Delete files from your phone or tablet that are stored in the cloud, that way you’re not using up space unnecessarily. And keep your cloud folders clean too, especially if you have limited space, otherwise you could find your uploads stalling. Also, consider roaming charges if you’re going overseas and intend to take lots of photos. You should turn off automatic uploads, otherwise you might end up with a huge bill when you get home. In these tutorials we’re going to look at some more advanced cloud techniques that let you really get to grips with using your Samsung device to connect to the cloud. With stronger mobile data connections on the rise, and Wi-fi hotspots becoming more readily available, there’s never been a better time to start using the cloud, and if you follow the hints and tips in this tutorial, you can be sure that you’re making the most out of the vast possibilities cloud storage can offer Android users. Ensure your contacts are merged with your Google account as well. Open Settings and tap on Merge with Google. Choose the right account and when you buy a new phone your contacts will be waiting for you. Check out the best cloud storage service. The best cloud storage service depends on your need. Dropbox is one of the most popular, and it lets you share items easily across multiple devices. It’s simple to use too, so it’s a good bet for beginners. Right now you’re probably signed up to multiple cloud services, some of them without even knowing it. A lot of phones come with a Dropbox account, you’ll have a Google Drive account if you’ve got a Google account and a SkyDrive account if you have an MSN account. Keeping control of the content spread across these different services can be a bit of a nightmare. That’s where CloudMagic comes in. With one search you can find files across a huge number of services. After you’ve downloaded and installed the app from the Play Store you need to create a CloudMagic account, then set about entering the details for the various cloud services you want to be able to access. This is as simple as finding the right one and entering your details. Tapping on the button on the bottom-left of the screen lets you add some filters to your search. If you know it’s a file you’re after, rather than a contact or an event, you can set CloudMagic to only search for files and documents, for example. Tap again to turn it off. Obviously that’s quite a lot of information to have in one place on your device, so it’s handy that you can set up a passcode system, as well as a login password, to protect your data. Go to the Settings menu, then tap Passcode lock to set one up that suits you. FolderSync is a great way to manage uploading your files to a variety of different cloud services. It gives you greater control of how your files are moved around, and glad to support with task manager apps it means you can set times to sync your content with cloud services. You can easily make / set up linked folders to exchange content between your devices, and the easy-to-use UI means you are always on high level of your various files and services. With the help of this article will show you, how to get started with an app, configuration/setting up your accounts and using FolderSync (£1.95/$2.95) to start taking control of your cloud services. There’s a free version of the app too, so if you’re unsure whether FolderSync is for you, we suggest you download that first. It lacks some functionality, but it’s a good introduction to how much easier things are with the app installed. You can unlock additional feature by upgrading. Once you’ve downloaded the app, it’s time to get started by logging in to all of your various cloud accounts. First of all sign in to your favorite cloud service, now Tap Accounts, then go bottom of the screen and Tap on button. Define your folder name and then add your login details, now you're good to go. After this process you will be able to add more extra services, now or when you want to sign up this service in future. If you want to add more accounts for the other services you can repeat the steps. Keep in your mind that the free version will allow you to add only two accounts. If you want more than two accounts you must pay for get full version of this app. Now you can set up a folderpair. By using folderpair service, you will share items easily between a local folder on your device and a folder in the selected cloud service. You’ll need to give it a recognizable name, and select the folders in both locations that you want to pair up. It’s worth creating a unique local folder to store all of your items in. For doing this you need to Add Tap button when you're selecting a folder, then define a name of your folder, now you are ready to pair it with the cloud service. Go back to the folderpair menu to complete the job. Now you can set when you want your folderpair to sync together and which way. The Tap sync interval is to choose that how often the sync should arise. How files should be handled, you use the other options. When you’re happy, tap the disk in the top-right to save.